This post is driven, so no digging is required. The principle benefit of the anchor post system is it’s speed of installation into most displaceable ground conditions. The anchor post system (Patent Pending: EP08251833.3) is a versatile product that, like many good ideas, provides a much easier and more efficient way of satisfying a widespread requirement. Manufactured from recycled steel, it also offers major cost savings compared with traditional methods of post installation as it is up to 10 times quicker, needs minimal labour and all operations are completed in just one visit. Anchor Posts come in a variety of sizes for use in different applications but all work on the same simple principle. whatever your post anchor needs may be we can produce specials on request. Call us to discuss your particular requirements. With considerable experience of all aspects of ground and structural stabilisation, Anchor Systems’ personnel can offer advice on the most suitable anchor post for individual projects with their specific load requirements, will conduct site tests and, if necessary, provide installation training or arrange installation via a recommended contractor. Apart from its flexible usage, the principle benefit of the anchor post system is its speed of installation into most displaceable ground conditions. Once a C.A.T scan has been conducted to detect any hidden utilities, the anchor is simply hammer driven straight into the ground. The alignment plate is then secured to the top at surface level and a post of the required height bolted to the plate. It is immediately ready for its desired application – fitting of signs, securing cables, fencing and the like. This rapid economical procedure allows far more posts to be positioned in considerable less time. 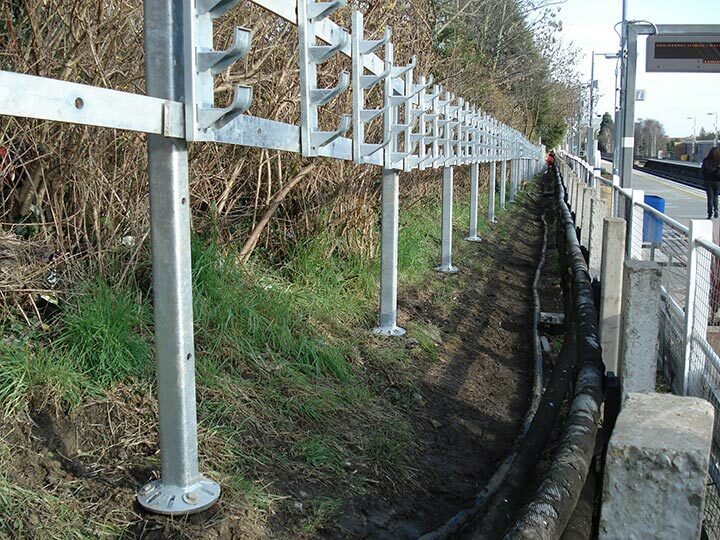 Also, unlike traditional post installation methods, anchor posts require no hole digging, no concrete or curing time and no return visits, particularly important on rail and motorway installations, making them significantly more cost-effective.